Anglian Building Products, the large project division of Anglian Windows Ltd, has been awarded a new window and door installation contract by Leeds City Council. The contract, which is worth £1m in the first year, was secured through an OJEU Best Value procurement process based on a 70% price and 30% quality evaluation criteria. Anglian are ranked in top position out of the 4 contractors awarded a place on this 4 year NEC3 Framework Contact. The mobilisation process has started and the initial works will commence to low rise properties in 18 different wards within the City. The works will include the installation of A-rated Anglian White Knight PVC-U windows, GRP composite front and rear doors, and fire rated doors. The site surveying process includes undertaking condition checks on previously replaced units, which will help ensure that the impact of the budget is maximised. A high level of customer service is essential as works will be undertaken with residents in occupation. Anglian will be maximising the use of a local workforce and providing a number of other social value benefits to the community. Throughout the contract Anglian will be providing progress updates via the client’s portal. 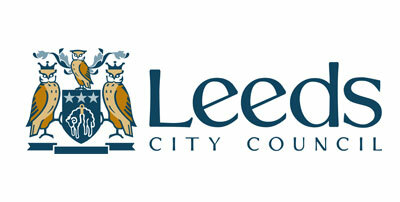 Simon Costigan, MCIH Chief Executive Officer, Property and Contracts Leeds CC. John Fairweather, Key Account Manager, Anglian Building Products.